The Workforce (the "Service"), operated by Triton Loyalty, and WSFL-FM (together, Triton Loyalty and WSFL-FM are referred to as "we", "us" or "our") is provided to you ("you," "your" or "User") under the following terms and conditions, including any amendments thereto and any additional terms and conditions, rules or policies that may be applicable to particular offerings made in connection with the Service (collectively, the "Terms and Conditions"). We reserve the right to update or change these Terms and Conditions from time to time. Any such changes shall be reflected in an updated version of the Terms and Conditions posted on this site. By continuing to use the Service following the posting of any such change, you will be deemed to have agreed to the amended version of the Terms and Conditions. Any failure to comply with these Terms and Conditions by you may result in the termination of your account, and the forfeiture and relinquishment of all Points you have accrued in the Service. BY REGISTERING TO USE THE SERVICE, YOU AGREE TO BE BOUND BY THESE TERMS AND CONDITIONS, SO PLEASE READ THEM CAREFULLY. Unless otherwise specified in connection with particular offerings, participation in the Service is open only to natural persons who are 13 years of age or older. Employees or agents of WSFL-FM, Triton Loyalty, and each of their respective affiliates, and immediate family members of or persons domiciled with any such persons are not eligible to participate. In consideration of your use of the Service, you agree to provide true, accurate, current and complete information about yourself as prompted by the registration form and to maintain and promptly update your personal data to keep it true, accurate, current and complete. If you provide any information that is untrue, inaccurate, not current or incomplete, or if we or any of our service providers have reasonable grounds to suspect that such information is untrue, inaccurate, not current or incomplete, we have the right to suspend or terminate your account and to refuse any and all current or future use of the Service (or any portion thereof) by you. You may not register with a disposable email address. Only one member account per person and two member accounts per household. If you are 13 years of age or under you cannot post information about yourself on the website or complete the registration process. You can, among other things, review your accumulated Points, review the Terms and Conditions as amended from time to time, and review redemption options at vip.wsfl.com . This sweepstakes will begin on 2/8/2019 10:00 AM ET and all entries must be received by 2/22/2019 12:00 PM ET. You currently have 0 entries. These rules apply to the O'Reilly Auto Parts gift card Contest (“Contest”) conducted by Curtis Media Group. d/b/a WSFL (“Station”). In addition, the General Contest Rules attached hereto and posted at wsfl.com apply to this Contest. If there is a conflict between the General Contest Rules and the Rules for this Contest, the Rules for this Contest shall control. 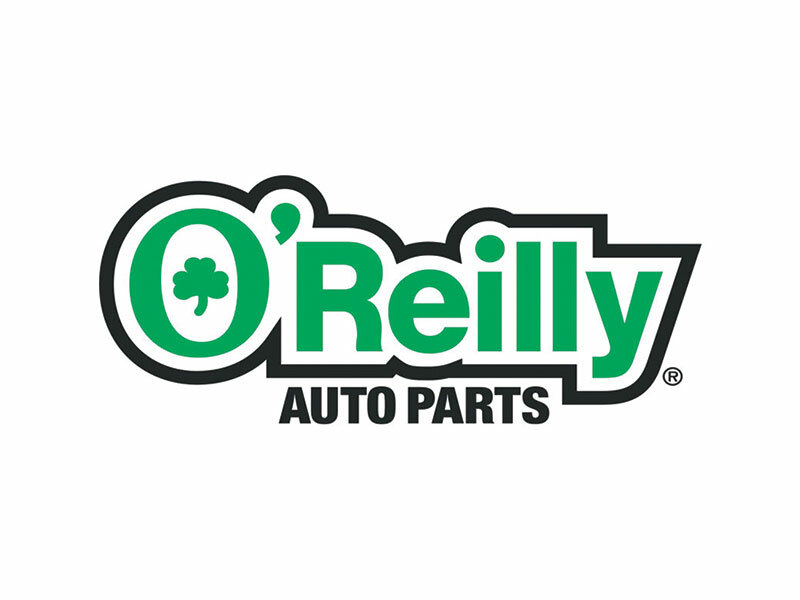 a.The O'Reilly Auto Parts gift card contest will begin 2/8/19 and end 2/22/19. b.To participate in the Contest, listeners may enter to win once daily at wsfl.com if a member of the Workforce – it's free to sign up. a.This Contest is open to all Station listeners who are 18 years of age or older as of the date of entry into the Contest, who are legal US residents and reside in the Eastern North Carolina area, except void where prohibited by law.Contestants must possess a valid, government-issued ID. Winner must show proof of NC residency to verify eligibility. b.Listeners may win a WSFL contest once in every 30 days, and a prize valued at $600 or more once every six months on any Curtis Media Group station. a. One $25 gift card. (“Prize”). b.Prizes or prize certificates must be claimed at studio or office of WSFLat the office of the Station located at 207 Glenburnie Drive, New Bern, NC 28560, Monday-Friday, during regular business hours.Prize or prize certificate must be claimed within 30 days of winning.Failure to claim Prize by the specified time will result in forfeiture of the prize.It is the winner’s sole responsibility to claim the Prize or prize certificate within the timeline provided in these Official Rules. a.One Workforce winner will be randomly chosen on 2/22/19 at noon. b.Winner need not be present or listen to win. Winner will be notified by phone and/or email. If the winner(s) cannot be contacted within 5 days after the prize is awarded, an alternate winner will be selected. c.Decisions of station management with respect to the contest are final. b.See Attachment A “General Contest Rules” for additional conditions. c.The Station reserves the right to end any contest or amend these rules upon announcement on air and by publication at www.wsfl.com. e.Copies of the written contest rules and a list of all winners are available during regular business hours at the main studio of the Station, 207 Glenburnie Drive, New Bern, NC 28560, or by sending a self-addressed, stamped envelope to the Station. These rules apply to all contests conducted by Curtis Media Group’s radio stations. Station specific contests will have their own specific rules which will be set forth in contest rules for that particular contest and will be available at the Station studio and on the Station’s website. If there is a conflict between these General Contest Rules and the Rules for a specific Contest, the Rules for the specific Contest shall control. a. Unless otherwise specified, contests are open to all listeners who are 21 years of age or older and who reside in the service area of station.Contestants must possess a valid, government-issued ID. Winner must show proof of residency to verify eligibility. c. Unless otherwise specified, Listeners are eligible to win Curtis Media Group contests only once every sixty (60) days and a prize valued at $600 or more, only once every six months.Only one winner per household (whether related or not) is permitted in any contest. a. Unless otherwise specified by the Station, all prizes or prize certificates must be claimed at the office of the Station conducting the contestMonday-Friday, during regular business hours.Prize or prize certificate must be claimed within thirty (30) days of winning.Failure to claim prize by the specified time will result in forfeiture of the prize. d. The Station reserves the right, in its sole discretion, to cancel or suspend a promotion, game or contest should a virus, bug, computer or other problem beyond the control ofthe Station corrupt the administration, security or proper execution of game or contest.The Station, in its sole discretion, may award prizes to entries received by alternate means.All Internet participants agree to be bound by the specific contest rules, and the General Contest Rules appearing above. e. To enter online, you must enter your first name and last name, complete address, city, state, zip code, home telephone number and a valid email address in the online entry form.One Internet entry per person and one Internet entry per email address.Internet entries will be deemed made by the authorized account holder of the email address submitted at the time of entry.The authorized account holder is the natural person who is assigned to the email address by an Internet access provider, online service provider, or other organization that is responsible by assigning email addresses or the domain associated with the submitted email address. f. The Station, in its sole discretion, reserves the right to disqualify any person tampering with the entry process, the operation of the Station website or who is otherwise in violation of the rules.The Station further reserves the right to cancel, terminate or modify the contest if it is not capable of completion as planned, including infection by computer virus, bugs, tampering, unauthorized intervention or technical failures of any sort. a. Entrants may not attempt to obtain votes by any fraudulent or inappropriate means, including, without limitation, by: (a) circumventing (or encouraging others to circumvent) any vote limits; (b) using any automated system to vote; (c) offering any inducements to others in exchange for votes; or (d) using proxy voting schemes in which anyone other than the actual person submits the vote.The Station, in its sole discretion, reserves the right to reject any votes that the Station has reason to believe were obtained through fraudulent or inappropriate means. b. Each contestant’s photo and/or video entry must be his/her original creative work and/or property and must not contain copyrighted materials or any other materials, which may be restricted, prohibited, or outlawed by Federal, state or local laws.Contestants are required to obtain a written release from all individuals appearing in the photo and/or video which grants, the right to use their name, likeness and recorded voice and the right to post the video on the Station’s website for the general public to view.Each contestant agrees to hold the Station(s), Curtis Media Group, its parent companies, its subsidiaries, their affiliated entities, and their respective shareholders, officers, directors, agents, representatives, employees, and all of their successors and assigns harmless against any and all claims or liability arising directly or indirectly from the prize and/or contest, including but not limited to an infringement or alleged infringement of any intellectual property, publicity or privacy right, or violation of any law or regulation, involving the photo and/or video entry. a. This Contest is in no way sponsored, endorsed or administered by or associated with Twitter.By submission of an entry, contestant release Twitter from any responsibility related to the Contest.